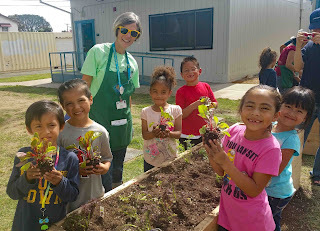 Kids and their garden at New Hope Elementary in Santa Ana. 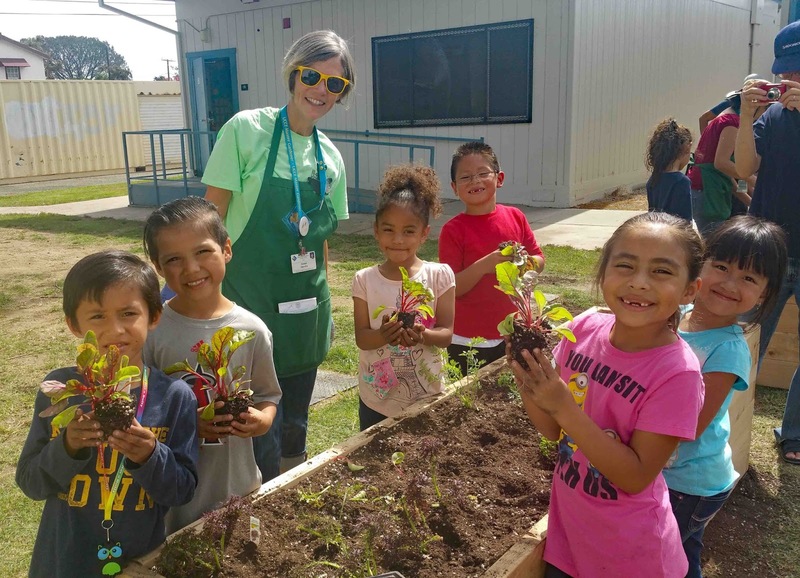 In 2017, Agromin is once again teaming up with the American Heart Association (AHA) to help teach kids the value of eating healthy through the AHA's Teaching Gardens. Agromin will deliver soil amendment, compost and fertilizer to over 40 schools in Los Angeles and Orange Counties this year. 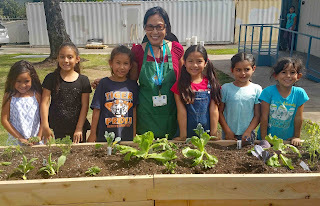 Students will plant vegetable seeds in raised beds at their school, care for the plants and then harvest the vegetables. Our Premium Blend is a soil amendment designed for pots, containers and raised beds. It works especially well when planting vegetables. It contains peat moss, compost, wood amendment, pumice, ground fir bark, rice hulls, sand and an organic crumble fertilizer that is OMRI organic listed. Agromin's Compost 100, which is also OMRI listed, is 100 percent organic made from recycled green waste material--no bio-solids or manure as feedstock. The fertilizer consists of bone, fish and kelp meal. We wish the American Heart Association much success with their gardens in 2017! 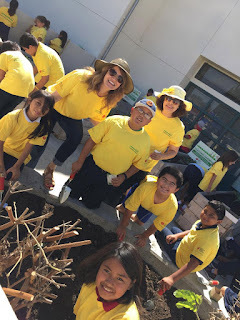 Kids at King Elementary in Long Beach. 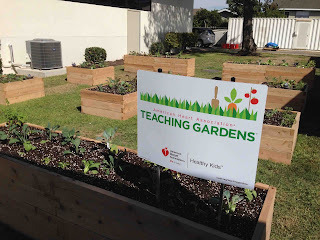 For information, more about the AHA's Teaching Gardens, go to Teaching Gardens. 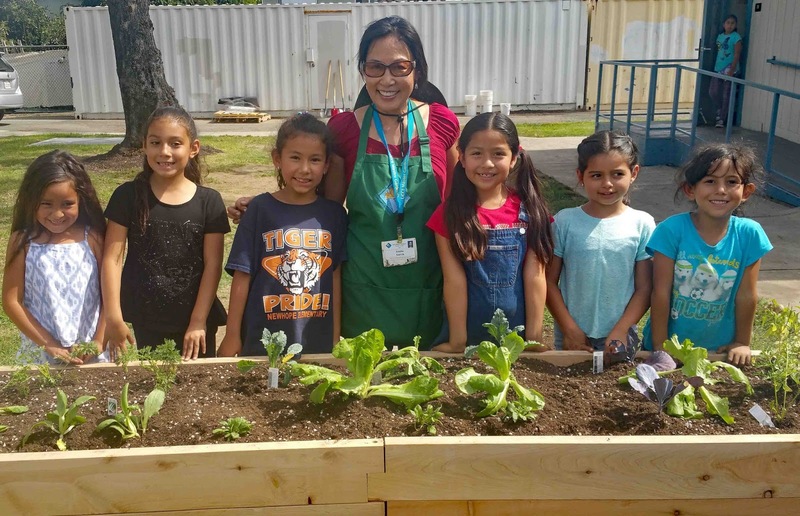 Through these special gardens, AHA staff teaches elementary-age kids about healthy eating habits--habits that will hopefully last a lifetime.